Perceptable team members have over 20 years of experience in developing custom apps for our clients. Past clients include Apple, Microsoft, Telus, PGA Tour, the Department of Defense, Bombardier, General Dynamics, the Alberta Government, the Canadian Encyclopedia, and many more. Perceptable invented a new configurator tool that allows our clients to add a custom configuration tool to their websites or online stores. This can be used by end users to confugure a product with a custom configuration and for them to view the different colours, product options and prices of their desired options. This tool was used by YETI SnowMX, Camso, and now Michelen to allow clients to configure snowbike conversion kits for dirt bikes. Clients loved it. 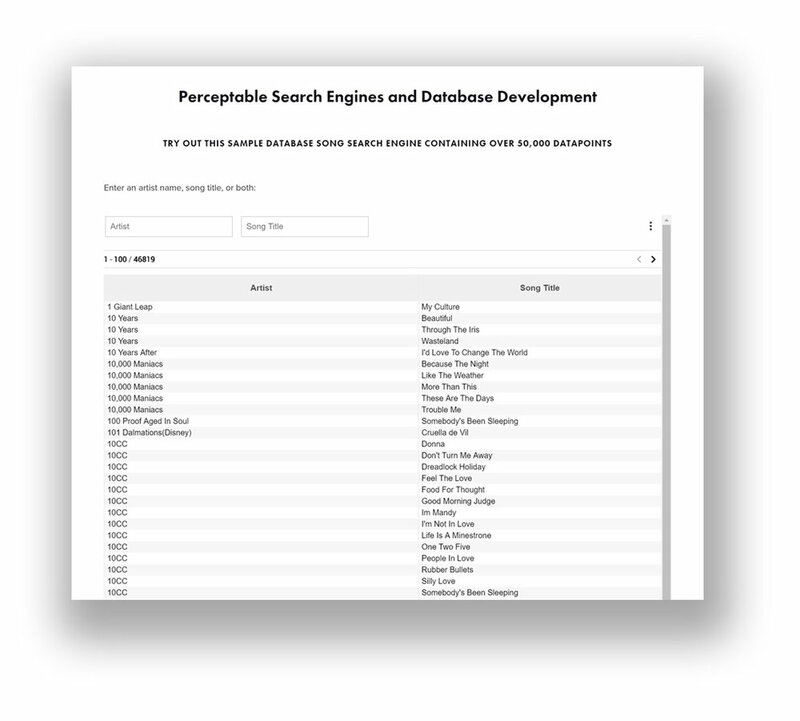 Perceptable has extensive database experience, and can assist in building custom search engines and workflow applications for almost any need. Recently, we built search functionality for a disk jockey / karaoke jockey client to allow them to have an online search feature to their song collection.